Flomar Garage - getting you back on the road as quickly as possible. Flo Tyres And Accessories. Call now for highly competitive tyre prices. We are committed to quality workmanship at competitive prices. Flomar Garage caters for all of your motoring needs. We at Flomar Garage cater for all of your motoring needs. We undertake servicing and repairs to all makes and models from cherished Morris Minors to Mazda Bongos, new and nearly new vehicles to light commercials and taxis. 2016 saw major investment in new equipment and the acquisition of an additional unit as a dedicated tyre shop. We only use quality parts and consumables sourced from reputable suppliers. Where appropriate, genuine parts will be purchased. We refuse to compromise on quality. Flomar Garage is pleased to offer a local Recovery and Breakdown Service to existing and new customers. We have a breakdown vehicle suitable for recovery of small to medium sized vehicles. We offer a full range of garage services to vehicle owners in Lewes and surrounding areas of East Sussex. Rest assured our technicians can handle a wide range of servicing and repair. "Brilliant, really helpful and informative staff. When my parts turned up early the team got my car repaired so I wasn't without it any longer than necessary. A local business looking after their customers properly." "I was one of the earliest customers of the garage when it first opened. I came in with an exhaust problem. Instead of trying to sell me a completely new exhaust they were able to replace one section of it. I thought these guys were honest and so they proved to be. I have had all my repairs and mots done here over the last ten years. The service has always been excellent. I have just had my mot and it was quick and efficient as usual." "Super service, friendly, has done our bongo proud , would highly recommend after 7 years , 5 stars"
"Lovely people. Very friendly and down to earth. They've given me sound advice over the 7 years i've been a regular customer. I completely trust them." "Flomar Garage carried out a major service on my Volkswagen last week and they did an excellent job. Their mechanic was courteous and kept me informed during the day. When they noticed my tyres were worn they were able to replace them at a very good price. My car drives better than it has in a long time and I will certainly be using them next time." "Excellent service, prompt repair as usual"
"Wonderful service, excellent work, very trustworthy - would only bring my car here!" 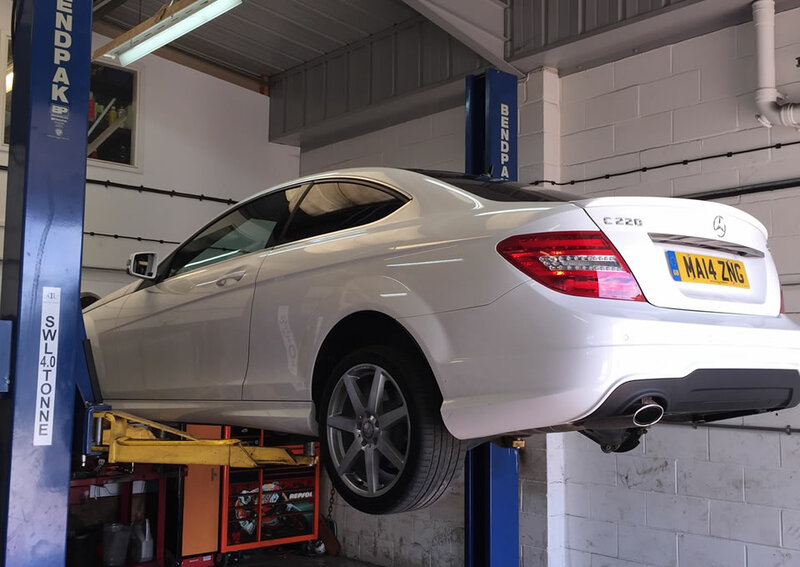 "All work undertaken as asked and at short notice - Very happy with service"
"Always a great friendly service - highly recommended"
"A very polite and friendly garage"
Brakes discs and pads replaced, full braking system service including brake fluid change and electronic components. 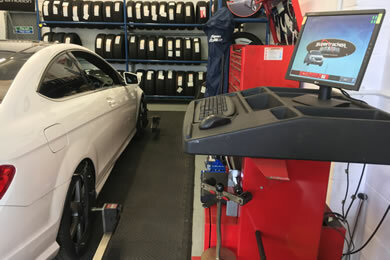 We offer a comprehensive range of tyres, tyre fitting, wheel balancing and laser alignment all at highly competitive rates. 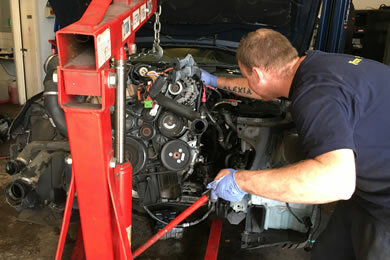 Engine oil change and gearbox oil change, in accordance with manufacturer specifications. 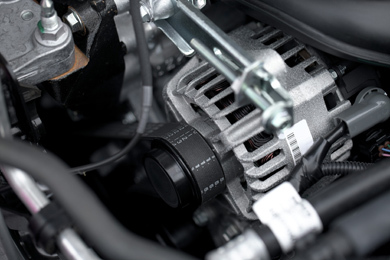 Cam belt replacement and replacement of all engine drive belts at recommended service intervals. 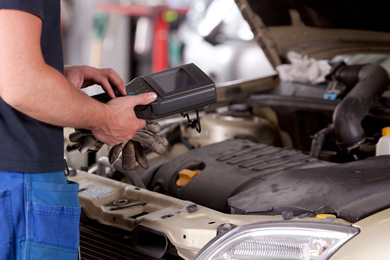 Recent investment in new diagnostic equipment means we can diagnose and repair problems on the very latest vehicles. We keep the most common batteries in stock for quick replacement, keeping you on the road. 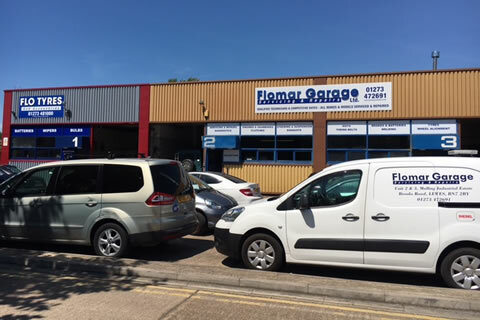 As an independent Vehicle Service and Repair Centre, all Flomar Garage employees work closely together to ensure continuity and personal knowledge of your vehicles. Customer care is paramount. How often should I book my car in for service? 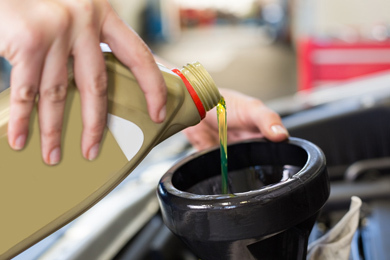 You should have your car serviced in accordance with the manufacturers recommended service interval. This is usually based on mileage or annually, whichever comes sooner. Most cars now tell you on the dashboard when a service is required and more sophisticated systems will take into account the type of driving you have done and warn you that a service is due when appropriate. At Flomar Garage we are happy to advise you about servicing your car. When should I have the cam belt replaced? It's very important to change the cam belt at the intervals recommended by the vehicle manufacturer because a failed cam belt will result in serious and costly engine damage. If you are not sure when the cam belt should be replaced on your vehicle please ask us and we will be happy to advise. Can you MOT my car whilst booked in for service? Yes of course. 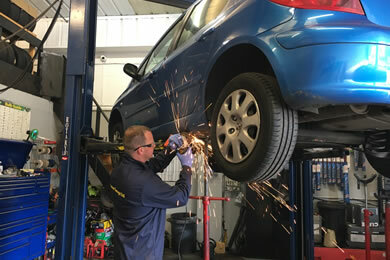 We offer an MOT service. Please contact us to make an appointment for your MOT and service.